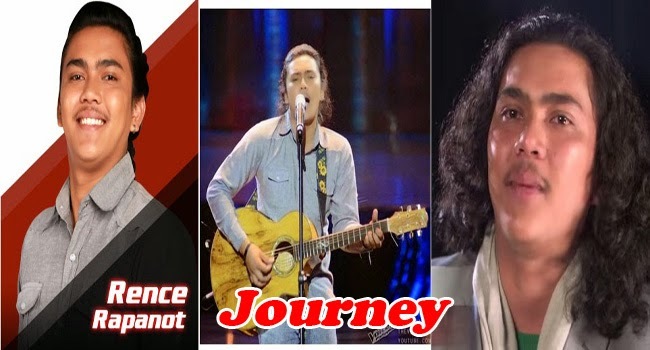 Rence Lee Rapanot successfully steps on the Finals of The Voice of the Philippines Season 2. His aim to passionately bring back OPM to its colorful life and his humble beginnings could be his keys to the grand title. His journey towards the music industry started when he sung ‘Mateo Singko’ during the blinds audition. He managed to convince all four coaches to turn their seat for him with his voice full of vigor and emotions. It was his ability to reach the hearts of the listeners and make them feel the message of the song that greatly impressed the coaches. Rence had grown up tending the ricefield his family had been using for years. They had recently sold their carabao and so he needed to work harder. He had experienced poverty first hand and he knows how it is to live a very simple life. Despite having to break his back each day, Rence did not give up with his dream to an OPM artist. He had joined TVOP to share his music and let people know of his story. He had chosen Bamboo as his coach believing that they have the same dream for OPM. Bamboo expressed his gratitude and challenged the young artist to continue singing the stories of the Filipinos from his heart. He sung ‘Creep’ with Casper Blancaflor during the Battle Rounds. Though he had struggled with the song as he is more comfortable with OPM, he was able to expressed the thought of the piece. Bamboo chose him to stay in the competition. In the Knockout Rounds, Rence performed ‘Walang Hanggang Paalam’ to challenge himself with patriotic songs. He was able to get to the Live shows with Kai Honasan. His next performance was ‘Malayo Pa Ang Umaga’, looking back to his hardships. He moved on with Rita Martinez. His other performances are ‘Para Sa Masa’, ‘Kamusta Na’ and ‘Himala’. In the end, with the public votes and Bamboo’s score Rence was able to secure the spot in the Finals Round. Rence had shared his love for his country, family and music through out his musical journey, will he be able to bring home the grand title? Keep updated by liking this page and be the first to know.